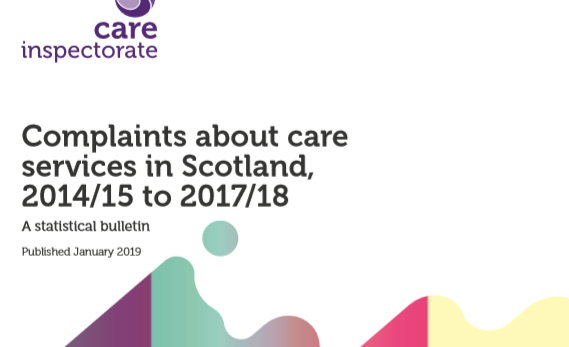 Almost half of the 4,696 complaints about Scottish care providers were about care homes, the Scottish Care Inspectorate has revealed in its report for 2017/18. 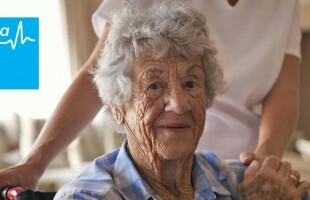 During the year, the watchdog received at least one complaint about 68 per cent of care homes for older people – in a quarter of cases investigated by the regulator, at least one complaint was upheld. Further breakdown of areas of complaint for care homes for older people shows that specific healthcare issues were the largest group of complaints (27 per cent). This includes problems with nutrition, medication, tissue viability, and inadequate care and treatment. This is followed by staffing (12.3 per cent) and communication (11 per cent). Just over half of all complaints received in 2017/18 about care homes for older people were from relatives and friends of people living in the service – 9 percentage points higher than in other types of service. The proportion of complaints received from employees of the service was also higher for care homes for older people than for other service types by around 5 percentage points. People experiencing care made around 1 per cent of all complaints about care homes for older people – compared with 13% for all other types of service. 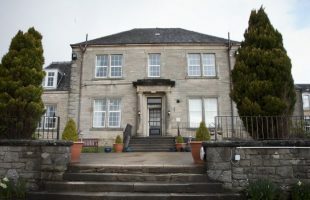 In Scotland, almost 73 per cent of care homes for older people are operated by the private sector, just over 13 per cent by local authorities and 12 per cent by voluntary organisations. Private sector care homes for older people received higher levels of upheld complaints than other owner model homes. The number of complaints received overall by the Care Inspectorate is up almost 10 per cent on 2016/17.